We were so excited when Melissa, our postwoman, delivered the fantastic news that we have been awarded our first Green Flag. We are officially an 'An Taisce Green School'! We have been eagerly awaiting the decision since our assessment day, which was carried out by Bernadine Carry, environmental officer with Meath County Council in early March! We have recieved our award for the work we have completed over the last three years on the first theme of the Green-Schools programme 'Litter & Waste'. The theme was a great starting point for encouraging a sense of personal pride and responsibility in tackling two these two visible issues in our school. 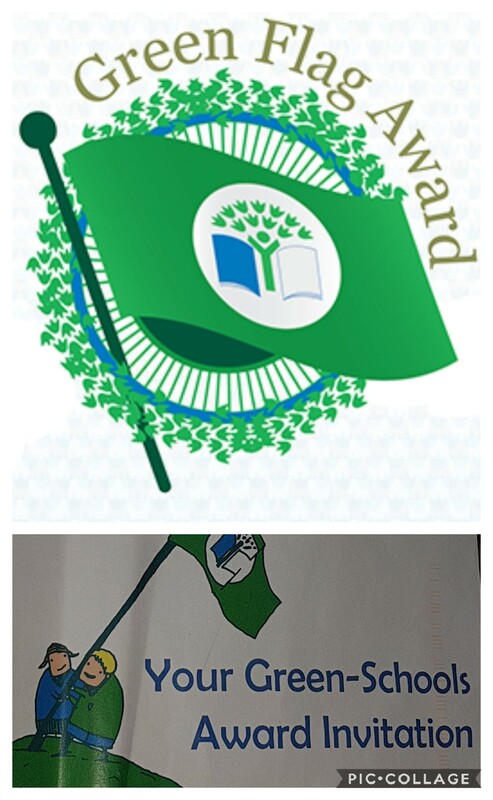 Four members of the Green School Committee will go to the Awards Ceremony on May 17th & collect the award on behalf of the school. We are planning to have a Green Day in June to celebrate this huge success with the whole school community!